The saying is true – an ounce of prevention is worth a pound of cure. At Covina Family Dental, our team’s top priority is helping patients and families avoid serious dental problems with thorough checkups, professional hygiene, and other likeminded services that protect and strengthen smiles. 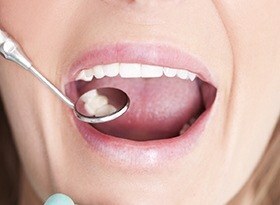 We look forward to preserving not only your oral health, but your overall quality of life through our dedicated efforts. Contact us today in Covina, CA to schedule a first appointment with Dr. Tran. 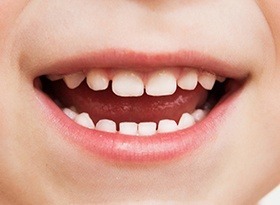 Children and adults alike should be attending dental checkups and cleanings twice each year. Why? Because many dental problems develop in subtle ways that patients can’t recognize on their own. Our team’s goal is to understand your unique smile and pinpoint any problems early in their development, potentially saving your family a great deal of cost and time down the road. Periodontal (gum) disease isn’t just the leading cause of adult tooth loss here in the United States – studies have shown it can even contribute to whole-body health problems like diabetes, heart disease, strokes, and more. Thankfully, this gradual infection can be stopped in its tracks with the help of focused therapy here in Covina. 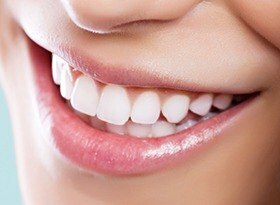 Scaling and root planing is an in-depth cleaning that removes bacterial accumulations from around and underneath the gum tissue, resulting in a revitalized smile. 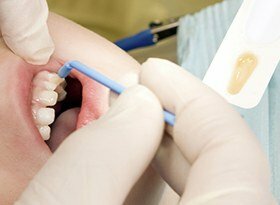 Dental sealants are an easy and effective way for patients to protect vulnerable teeth from the ongoing threat of cavities. This tough, plastic-based substance seals in place over the chewing surfaces of back teeth, which have deep pits and grooves that can attract food particles. Our team is likely to recommend this service for young children who are still learning how to brush and floss at home. If you or your loved one is a passionate athlete, it’s important to remember that smiles may be at risk from physical contact with hard objects or other players. 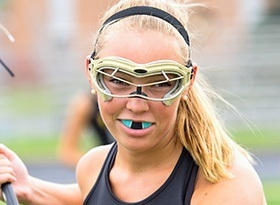 Our team strongly recommends the consistent use of a sports mouthguard that’s been custom-made for the unique player. 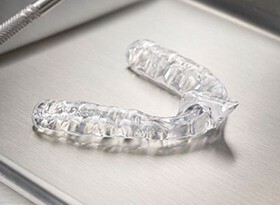 These high-quality appliances offer optimal reliability and oral comfort that can’t be achieved with a “one-size-fits-all” mouthguard from the store. Players will be able to breathe easily and even speak as well throughout the big game without compromising the continuing health of their teeth. Do you wake up with painful headaches or discomfort throughout your jaw? Do your teeth seem flat or worn-down over time? Bruxism is the likely cause, which is more commonly known as habitual teeth grinding. This “bad habit” is very common, and a majority of patients will only experience it at night, leading to confusion and misunderstandings over the symptoms. Dr. Tran can recommend a custom-made nightguard for protection if he discovers tell-tale signs during your checkup. 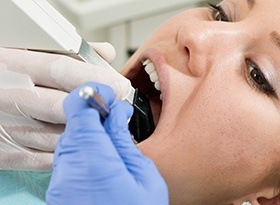 Tens of thousands of oral cancer cases are diagnosed each year, many of which have already become so advanced that the chances of recovery are slim. In order to protect our patients and help them maintain optimal health, Dr. Tran offers oral cancer screenings as an important part of regular checkups. He will provide a thorough visual examination of the mouth, neck, face, and oral tissue, taking note of any abnormalities that may indicate cancerous or precancerous cells. An early diagnosis could save your life! Fluoride can be found all around us, from certain foods to most municipal water supplies here in California. Countless studies have demonstrated a notable link between regular exposure to this mineral and healthier, stronger teeth on average, which is why our team will recommend professional treatment if we determine that you and your family aren’t getting enough fluoride in everyday life. Suddenly, it happens – you’ve cracked a tooth after slipping on the stairs, or a dull discomfort in the back of the mouth has suddenly turned into searing pain. These emergency situations can throw a big wrench into your busy day, which is why finding fast, effective relief is so important. Here in Covina, Dr. Tran makes every effort to see emergency cases as soon as possible. If you are a patient of record, we will accommodate you on the same day as your initial call. At Covina Family Dental, we’re happy to live up to our name by treating both you and your loved ones! Our practice’s wide range of services has several options that are a good fit for growing smiles, and our friendly team will be sure to help your son or daughter feel right at home throughout their appointments. This added convenience means that you and your family will have more time to spend together as well that would otherwise be wasted on time-consuming trips to separate offices.